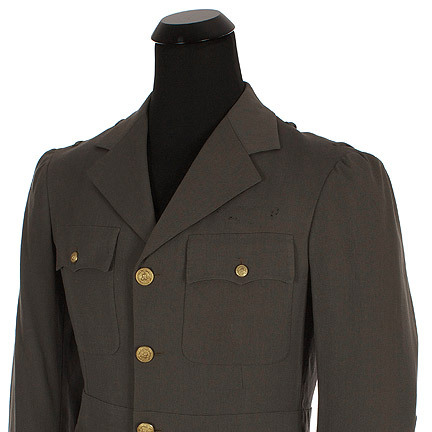 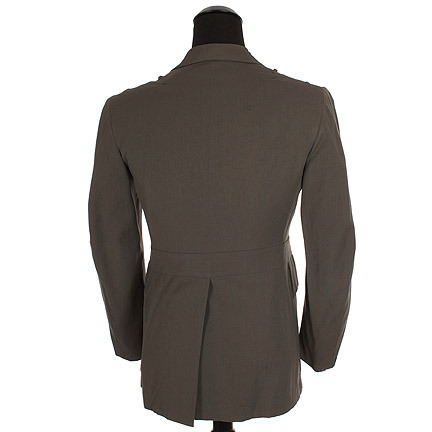 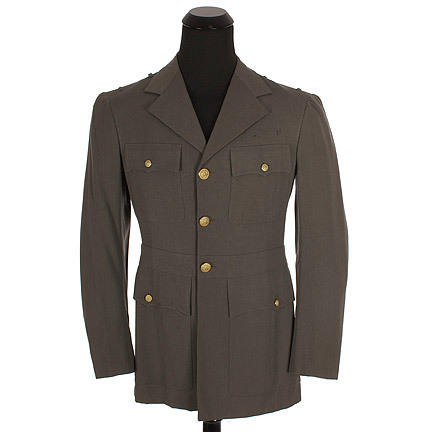 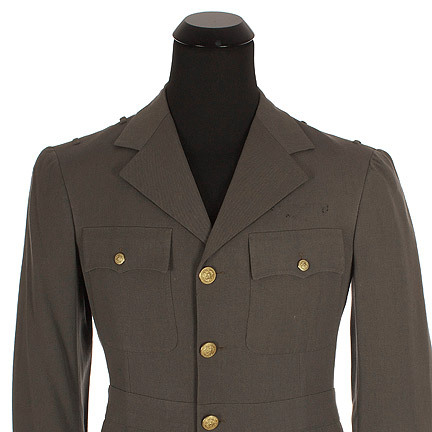 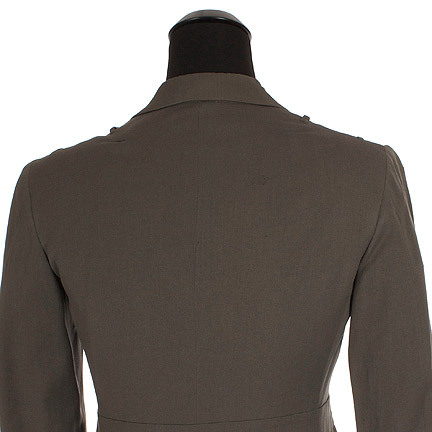 This class A Navy jacket was custom made for Robert Taylor for an unidentified production. 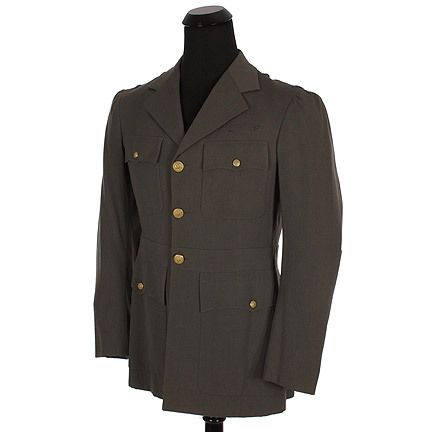 The garment has two shoulder board loops, three brass eagle button front closure, and four patch flap pockets. 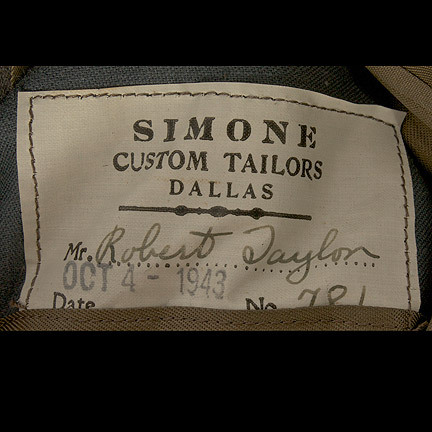 Internal “Simone Custom Tailors, Dallas” label, with “Robert Taylor, Oct 4 – 1943 no. 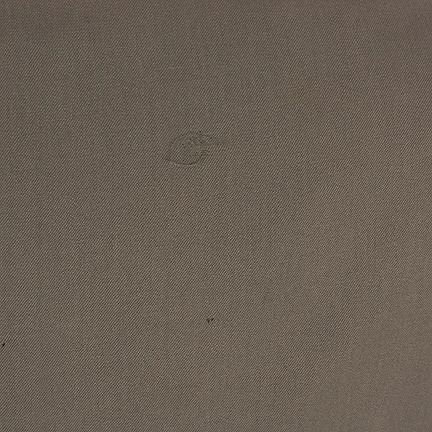 781” printed in black ink. 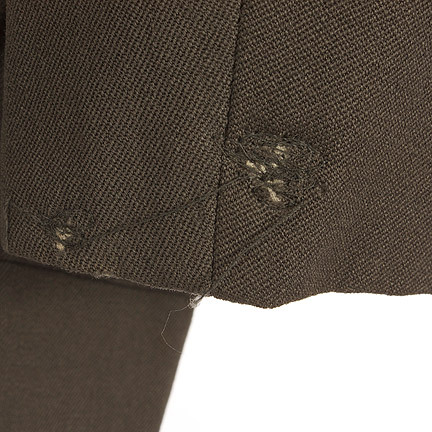 Small repairs have been made on the shoulder and sleeves. 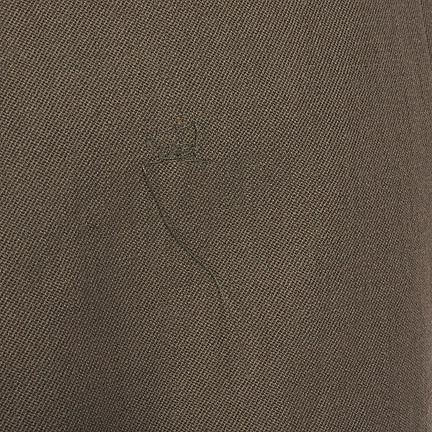 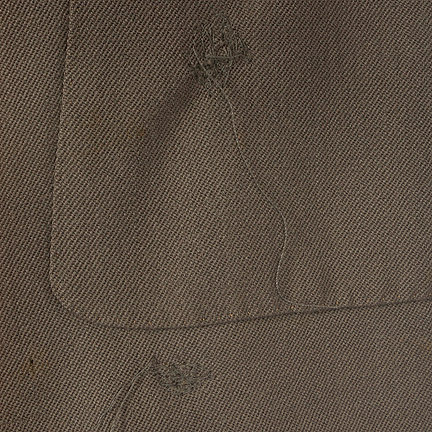 The back of the jacket has minor moth hole damage in the fabric. 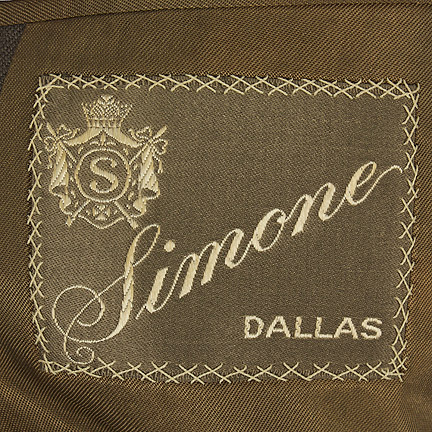 This tunic is in fair vintage condition, and is accompanied by a letter of authenticity from the costume house.